Are you worried about your aging parent because daily tasks, such as opening mail and paying bills, just aren't getting done. It could be a sign of changes in eyesight or memory loss. It's time to get involved and offer assistance. 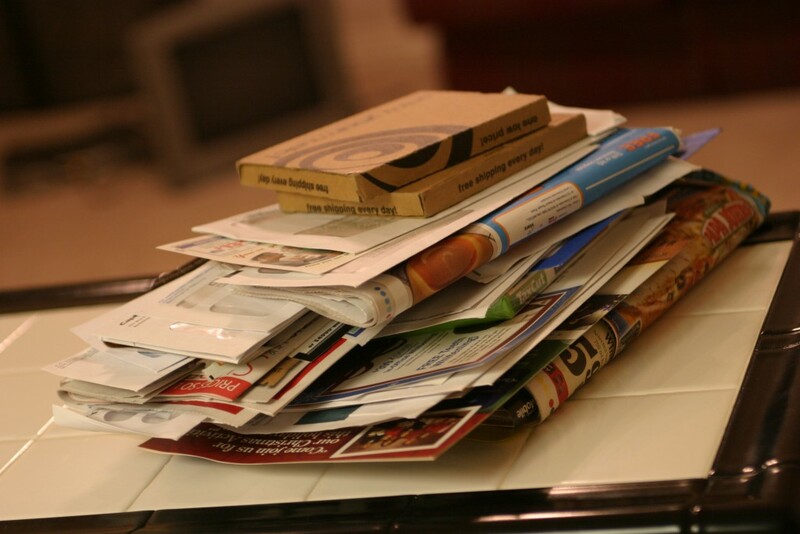 If you feel uncomfortable stepping in and sorting mail, please remind yourself it's necessary. Here are some ways to help keep your parents’ mail in order. What are the alternatives to your parent living alone? Unopened mail and not completing other daily tasks (known as activities of daily living) can be a sign it’s time to consider alternative options for your parent(s). Here is a list of programs and services you can discuss with your mom and dad. Daily or Weekly Phone Calls: Is your parent home bound, lonely and isolated? The Telephone Reassurance program offers phone calls on a regularly set schedule. Eskaton volunteers call over 600 home bound seniors a week to check in, make sure they are doing well, and offer friendly conversation or other resources as needed. Sign your parent up for this free program by calling 1-866-eskaton. Geriatric Evaluation: As your parent begins showing signs, call Live Well at Home by Eskaton to schedule an evaluation with a care manager. Care managers are specialists in assessing, coordinating and equipping you with the information you need at the right time. Care Managers are nurses and social workers who provide solutions that benefit older adults and families.Call 916-459-3220. In-home Care and Companionship: Live Well at Home by Eskaton also offers personalized in-home care. They are flexible and available 24 hours a day. For a complete list of in-home services, visit www.LiveWellatHome.com or click here to schedule your free in-home assessment. Independent Living with Services: Your parents can lead an active, independent lifestyle while gaining amenities such as housekeeping and transportation, along with assurance that professional support is there, if needed. Click here for a list of Eskaton independent living communities. 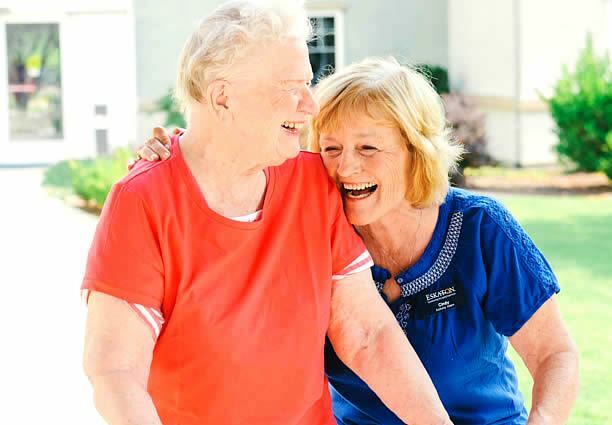 Assisted Living: An assisted living community (AL), sometimes known as a residential care facility (RCFE), is an apartment style building completely staffed with caregivers. It offers restaurant style dining, social and wellness activities, transportation and healthcare options. Assisted living is for people who have various needs with activities of daily living (ADL) such as dressing, bathing, eating and medication management. Click here for a list of AL communities offer by Eskaton. Also, make sure to check out the ratings and reviews of all AL available by visiting Caring.com. Memory Care: Eskaton offers Day Spring, a specialized pre-memory care program for those beginning to show cognitive challenges associated with dementia and Alzheimer's disease. Also available is the Dawn of a New Day program for 24-hour memory. All staff are required to graduate Eskaton's Memory Care Academy which teaches the philosophy and empathic approach on comfort, personal dignity and self-worth. Learn more at www.eskaton.org/memory-care. Skilled Nursing: A nursing home is also known as a skilled nursing facility (SNF) which offers 24-hour nursing for those who have limited mobility and cannot care for themselves. Some people live in a skilled nursing home for a period of rehabilitation after an injury or surgery, and others live out their elderly years in this type of home. Eskaton calls their skilled nursing “Care Centers”. A senior living community such as Eskaton offers independent living. If you feel your parents need regular support from professional caregivers, assisted living may be the right choice as it provides care and conveniences in a community setting. Making the decision to help a parent move from their home to a senior living community can be complex. While you worry about their safety and well-being, your parents may be worrying about loss of independence. The best scenario is a joint decision. Visit communities together to determine the type of community that best suits their needs.